It’s summer, and that means every weekend there are dozens of people in my town who drag all the stuff they don’t want outside towards the street to see if they can convince hapless passers-by to pay for it. 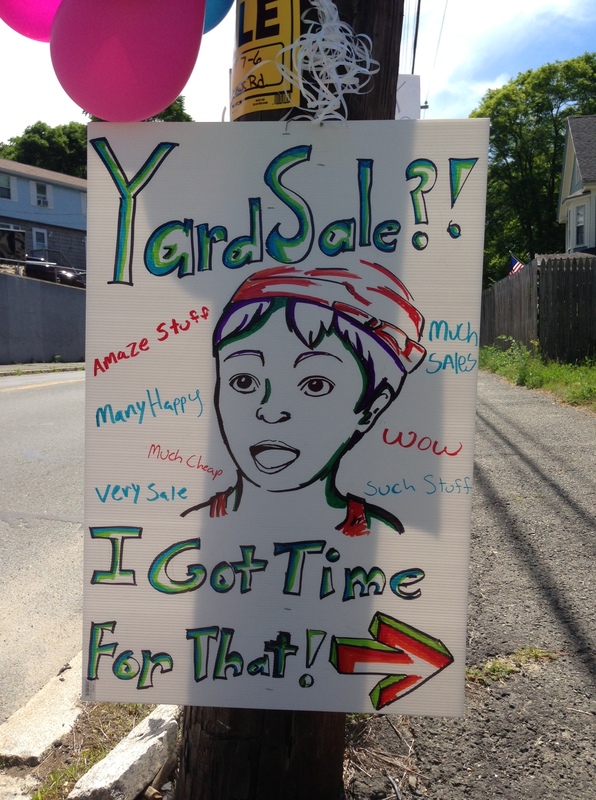 Yard sales pop up like weeds in the driveways all around town, and more prolific than the sales themselves are the signs on every telephone pole and street sign. Most signs are lackluster at best, utterly ignore-able most of the time….until–this! Clever, funny, well drawn with a solid understanding of pop culture and advertising appeal! I may not want to buy the dusty crap from your basement, but you win the award for Best Yard Sale Sign of 2014!